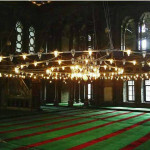 Also known as the “Osmanlı” or “Nuruosman” Mosque, the Nuru Osmaniye Mosque’s construction began during the reign of Mahmud I. 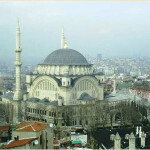 Also known as the “Osmanlı” or “Nuruosman” Mosque, the Nuru Osmaniye Mosque’s construction began during the reign of Mahmud I. 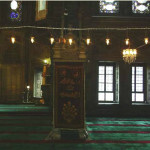 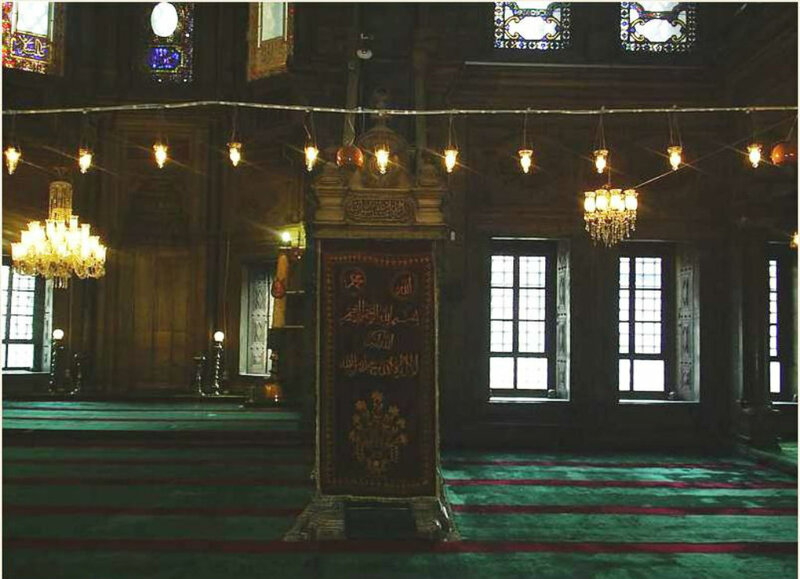 The mosque was completed by the architect Mustafa Ağa in 1755, after the death of Mamud I. 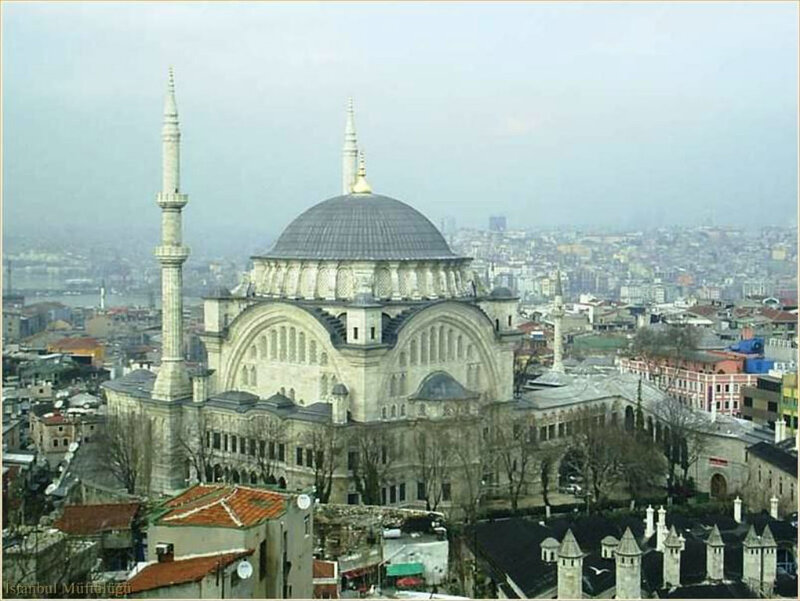 The mosque was built with a large, two-entrance courtyard and is surrounded by a madrassa, soup kitchen, library, public fountain and a number of shops. 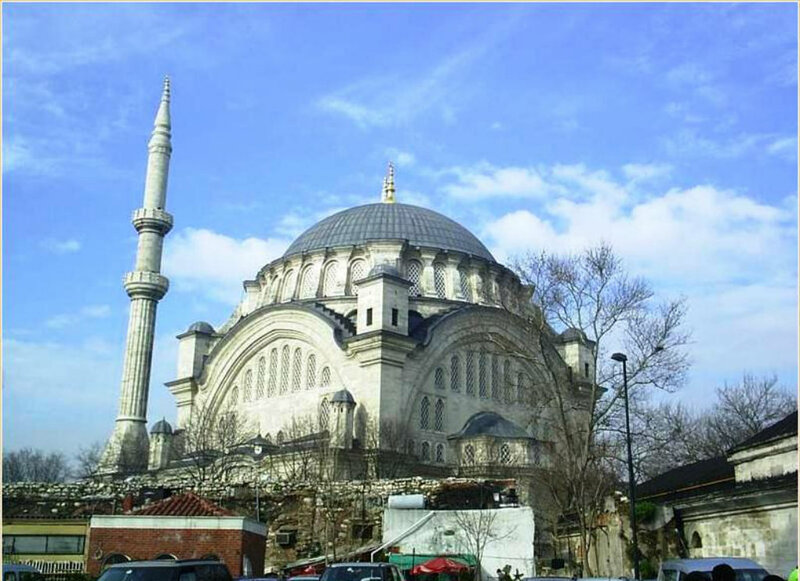 Influenced by the baroque style, the mosque has 14 domes resting on 12 columns. 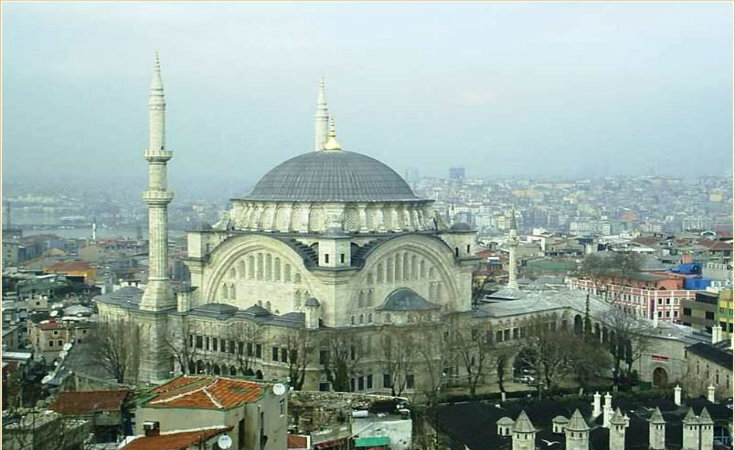 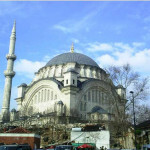 174 windows, arranged in rows of 5, light the interior of the mosque while outside there are two, two-tiered minarets. 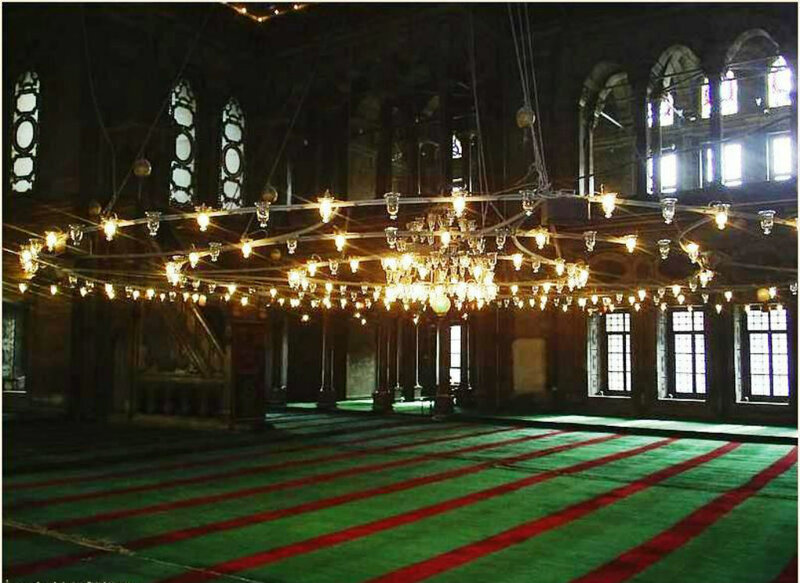 The interior acoustics of the mosque are spectacular.